Welcome to week 3 of Going Paper-less month in the Organize & Refine Your Home Challenge. We started the month by reviewing the basics of going paperless, including tools for scanning your documents. In Week 2, we focused on your paperless workflow. In these last 2 weeks of the Challenge, we're zeroing in on going paperless in the context of specific areas of your home. 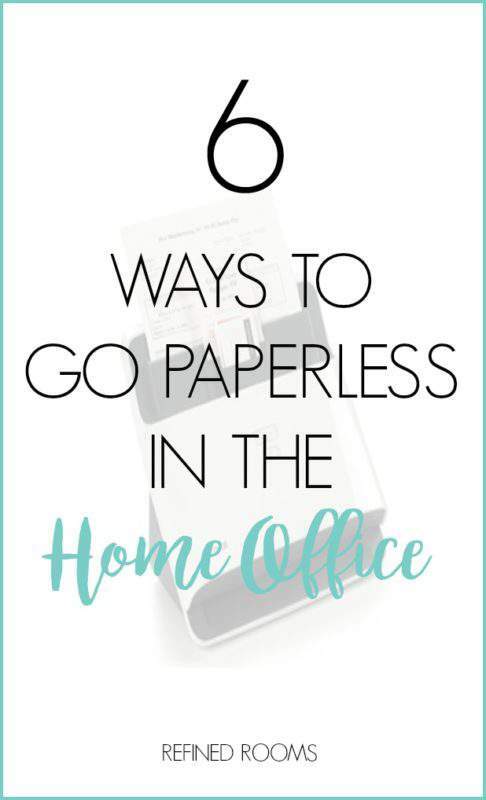 How can you go paperless in the home office? Another common home office paper clutter culprit is the business card. Well, I should say business cards, because no one has just one card. Typically, we have boxes of them lying around! There are many ways to ditch the paper cards in exchange for a digital system that organizes and stores contact information. Complete the action steps and bask in the glow of less paper! I’d love for you to share a photo of how you're going paperless in the home office via Instagram (use the hashtag #OrganizeandRefineChallenge) and/or share it in the comments below! How glorious would a paperless office be?? I’d love to implement these tools to help clear out my clutter. Thanks for sharing at Merry Monday! It’s really not that complicated Megan. In fact, I would argue that the process actually is fun once you get the workflow down! Thanks for visiting! Great ideas here! 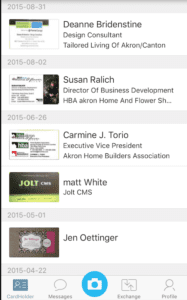 Evernote is definitely perfect for the business cards, and the tax documents as well. Thanks Sara! I think we all have a love affair with Evernote. It’s hard to image a world without it! I’ve been meaning to check out Cozi. I do like the app Todoist which at least keeps my to do lists digital! I’ve never used Todoist, but I’ve heard great things about this one! Love the paperless manuals as these are so bulky and for many of them, rarely if ever used. I suggest clients create a desktop folder called “manuals” and just download them and keep them here. This way, if their appliance goes out of date or out of production, they will still have the manual. A real space saver!